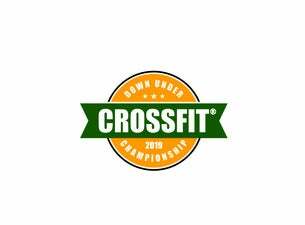 The Down Under CrossFit Championship will take place over three unforgettable days in the iconic beach city of Wollongong. Be there as Australia's finest CrossFit Athletes take the competition floor against athletes from all over the globe with their eyes on the ultimate prize, a first place finish. World class programming of multiple events designed to test the determination and skills of 160 elite individuals and 40 elite teams will provide an unrivalled spectator experience that must be seen to be believed. The action will not be limited to the arena floor, the athletes will be tested in the elements and must be both physically and mentally prepared to endure the intensity of a three day competition. Spectator tickets include access to all events and exclusive access to the vendor village. The vendor village will be alive with excitement and activity offering patrons a chance to surround themselves with the people who are the heartland of the CrossFit Community. This not to be missed celebration of all things CrossFit will culminate on Sunday afternoon when the fittest Male Female and Team will be crowned having earned the right to call themselves the Down Under CrossFit Champion securing a much sought after invitation to the CrossFit Games in Madison, Wisconsin, USA. Join us at the Wollongong Entertainment Centre as the entire city of Wollongong hosts this outstanding showcase of fitness.